I’m an avid reader of historical fiction and so it gives me great pleasure to stay in with Clare Flynn and talk about her writing today. I’ve yet to read Clare’s books so I’m excited to see which she has brought along and why! Clare has previously featured on Linda’s Book Bag when she wrote a fabulous guest post about the North South divide when The Green Ribbons was published. You can see that post here. Welcome to Linda’s Book Bag Clare. Thank you for agreeing to stay in with me. Thanks for inviting me, Linda – I always enjoy a night in with good company – I’ll bring the wine! Tonight I’m bringing my latest novel, The Alien Corn. It only came out on 3rd January so I’m still very excited about it. Although I still get excited about all my babies. The quote seemed even more apt as Joan spends quite a lot of time hanging around cornfields, sometimes close to tears! By now the corn had grown so high it reached over Joan’s head. She walked along the rows between the tall maize plants, lost in the lines of vegetation, only the sky above her. The corn stalks were brown, the leaves shrivelled and dried in the sun, the weight of the plump, ripened cobs weighing them down. Joan liked to walk through the fields, invisible to anyone, alone. Lonely. It was hard not to give way to the overwhelming homesickness that often beset her. How different her life would be if she had Ethel or her mother close by. Someone to turn to, someone to raise her spirits when she felt low. The novel is actually a sequel to The Chalky Sea (my best-selling book so far) but I wrote it so that it works as a standalone too. You can read them in sequence or read The Alien Corn first and then go back and read The Chalky Sea. This is the first time I’ve written a sequel. Usually by the time I’ve finished a book I want to move on – but Jim, Joan’s husband, wouldn’t go away – I’d left him in Sicily about to attack a German-occupied village. I had a lot of readers begging me to go back to him. Writing the book gave me an excuse to research the Allied campaign in Italy (often known as The Forgotten Front) – we return to the war in mainland Italy in flashbacks in The Alien Corn. I lived in Italy for three years and love it but it was the first time I had set part of a book there. I was staggered at what I found out about brutality of the Italian campaign. I was surprised at how little Italian friends know of the war there – including that Canadians fought there and lost 6000 lives – it was as if the whole country decided to put the war behind them once it was over. What can we expect from an evening in with The Alien Corn? Everyone who’s reviewed it so far says it’s a page turner you won’t want to stop reading, so you’ll need to prepared for a late night, order in a takeaway and brew up some coffee. Well apart from the wine, coffee and the takeaway, I’ve brought a couple of maps so you can get a rough idea of where the book is set. Aldershot, London and Eastbourne in England and everywhere mentioned in Italy (apart from one small town) are all real places – but Hollowtree, in Canada is made up. It’s in Southern Ontario and about an hour’s drive from Kitchener. I usually visit the locations in my books but circumstances prevented me nipping over to Canada so I did desk research and spent a lot of time touring around the countryside on Google Earth. I’ll be bringing some music too – we’ll be listening to some songs from the 1940s – be prepared for Don’t Fence Me In and Don’t Sit Under the Apple Tree! (very bossy, these 40s songs!) I’ll be bringing my swimsuit as I hope we might have a chance for a dip in your pool (you do have one don’t you, Linda?) – as Joan is partial to a spot of swimming. If she got her way I’d come armed with some of her favourite movies – she’s a big Joan Crawford fan. But as I want you to read the book (and I prefer Bette Davis myself) I’ll be resisting that one. Finally as you’re going to be up all night reading the book, I’m bringing you a takeaway and some strong coffee plus the makings of breakfast – a bottle of maple syrup along with some newly-laid eggs and some home-cured bacon all fresh from Hollowtree Farm. I’ve really enjoyed staying in with you Clare. Thanks so much for telling us all about Alien Corn. Thanks so much for having me over, Linda! They faced up to the challenges of war – but can they deal with the troubles of peace? Canadian, Jim Armstrong, married in haste during the second world war, after a one-night stand. When his wife and their small son join him in Canada it’s four years since they’ve seen each other. War bride, Joan discovers Jim has no intention of the family returning to England. She struggles to adapt to life on a remote farm in Ontario, far from her family and cold-shouldered by Jim’s mother. Jim, haunted by his wartime experiences in Italy, Iingering feelings for a former lover, and the demands of the farm, begins to doubt his love for Joan. From the rolling farmland of Ontario to the ravaged landscapes of war-torn Italy, this sweeping love story is the sequel to The Chalky Sea. Alien Corn is available for purchase here. Clare Flynn writes historical fiction with a strong sense of time and place and compelling characters. Her books often deal with characters who are displaced – forced out of their comfortable lives and familiar surroundings. She is a graduate of Manchester University where she read English Language and Literature. Born in Liverpool she is the eldest of five children. After a career in international marketing, working on brands from nappies to tinned tuna and living in Paris, Milan, Brussels and Sydney, she ran her own consulting business for 15 years and now lives in Eastbourne where she writes full-time – and can look out of her window and see the sea. When not writing and reading, Clare loves to paint with watercolours and grabs any available opportunity to travel – sometimes under the guise of research. You’ll find all Clare’s books here. You can find out more about Clare on her website, find her on Facebook and follow her on Twitter. I cannot express enough how grateful I am to Alison Menzies for a copy of Literary Wonderlands, edited by Laura Miller, in return for an honest review. Published by Modern Books on 26th October 2017, Literary Wonderlands is available for purchase in hardback here. Imaginary worlds have captivated readers since the first works of literature. Lovingly researched and beautifully produced, Literary Wonderlands explores the timeless, captivating features of literature’s greatest fictional worlds and the minds that created them. The book is comprised of nearly 100 sections, each of which details the plot of a famous fantasy world, the historical circumstances that surrounded its production, the author’s inspiration, and the place it holds in the public imagination. Roaming from classic tales including C.S. Lewis’ The Chronicles of Narnia to Philip Pullman’s His Dark Materials, this truly global collection chronicles over two thousand years of literary creation. Accompanied by stunning visuals that elucidate the production of each work, Literary Wonderlands is an enchanting read for anyone who has ever been transported to another place through the power of the written word. Literary Wonderlands explores the settings and creation of books spanning 4,000 years. If you’ve ever read a book of any kind and enjoyed it then Literary Wonderlands is the book for you. It is a stunning book to have. I absolutely love it. One of the great pleasures of ‘real’ books for me is the presentation. It might sound ridiculous, but Literary Wonderlands appeals to almost all my senses. The quality of the materials here is so lovely to touch with smooth, crisp pages that make the spine give a satisfying creak as they are turned. The book even smells like a book should. However, the real triumph is in the fantastic illustrations. There’s everything from classical art to film stills, author images to book covers that make simply flicking the pages a delight. I was almost tempted to lick it to see if taste was represented too, but stopped short of that! Sublimely researched, there is an eclectic mix of books to discover and enjoy in Literary Wonderlands. Each entry has detailed information such as the original date of publication, a brief synopsis, something about the author, the book’s impact in society, different versions and representations as well as glorious illustration so that there is so much more to discover and enjoy even for those not especially interested in books themselves. What I especially enjoyed was plotting my bookish journey in life through the pages of Literary Wonderlands. Books I read as a child like Peter Pan, books I studied at university such as One Hundred years of Solitude and books I have taught to students such as The Time Machine, or enjoyed as an adult like Pullman’s trilogy drew me in and rekindled long forgotten memories. It’s difficult to express what an outstanding book this is. Opening the pages of Literary Wonderlands makes my heart glad and my soul sing. It’s just perfect and I cannot recommend it highly enough. Laura Miller is currently books and culture columnist at Slate. In 1995, she co-founded Salon.com and worked there as an editor and staff writer for 20 years. Her work has appeared in the New Yorker, Harper’s, the Guardian, the Los Angeles Times, the Wall Street Journal and many other publications, including the New York Times Book Review, where she wrote the Last Word column for two years. She is the editor of The Salon.com Reader’s Guide to Contemporary Authors (Penguin, 2000). She lives in New York. You can follow Laura Miller on Twitter @magiciansbook. I’m so pleased to welcome Anna-Maria Athanasiou, author of La Casa d’Italia For Starters, to Linda’s Book Bag today. I really wish I had had time to read La Casa d’Italia For Starters as it looks a smashing narrative, especially as Anna-Maria’s guest post today about fate really resonates with me and I’m delighted to be sharing it with you. Published on 7th December 2017, La Casa d’Italia For Starters is the first book in Anna-Maria’s new trilogy La Casa d’Italia series and is available for purchase in e-book and paperback here. Step into La Casa d’Italia, a place for new beginnings, and let destiny take care of the rest. When Dani’s trust is shattered, her life disintegrates around her. She loses her home, her job and her man. With few choices left, she starts over again, hoping to forget her hurtful past and move on. Fate leads her through the doors of the popular Italian restaurant La Casa d’Italia, and into the path of Jerome Ferretti, a married man and highly successful leisure industry mogul. A man who seems to have everything he could ever want: a thriving empire, a beautiful family, good looks and the respect of everyone who knows him. She is everything Jerome has ever needed. He is everything Dani could ever want. Their chemistry is undeniable, their paths destined to cross, their fate ultimately sealed. Except he’s off limits. A story of new beginnings. I have always felt that some great power is leading us onto a certain path. I’m not necessarily talking about a religious greater power, just some force that sets us in a specific direction. We have choices along this path but ultimately the final destination is always the same, though the journey may meander a little. I’ve often thought to myself “Why am I going through this?” or “Why am I even in this place?” and then suddenly it all makes sense. It’s my destiny or fate, or just how it’s meant to be. I’m of Greek Cypriot origins but was born and brought up in the north of England. While I was proud of my heritage, I fully embraced the British culture too. I had decided from an early age that I wanted to make a career for myself; marriage was the furthest thing on my mind. My dear departed grandmother always told me I’d marry a Greek man and I would always scoff at her words. It was a running joke between us, my point blank refusal and rejection to the idea and her constant teasing. I was lucky enough to secure a place at college to study Hotel Catering and my dream to have my own restaurant one day started to look attainable. My studies took me to Switzerland which I can easily say was one of the best experiences of my life, even though it meant I was away from my home and family. This was a time without mobile phones, internet, social media and telephone calls were expensive! So a once a week phone call back home and endless letters were the only way to keep in touch. At the same time as I was embracing further education and a new adventure, a young man was reluctantly leaving his home in Cyprus to go and study in the UK. The idea of further education was the last thing on his mind but his parents insisted that he should get a degree. He was flung into a completely contrasting culture and country, unable to communicate and make friends. The Cypriot consulate took him under his wing and introduced him to my cousin and brother. The three of them became firm friends and spent the next couple of years partying hard and embracing the single student life. They holidayed together on a few occasions, staying with family and friends and basically caused havoc! Throughout my time away the weekly phone calls home were peppered with news of my brother’s antics and his new friend Marios. The letters I received were also full of stories of what my cousin, brother and Marios had been up to. After securing a job in Switzerland for once I’d finished my degree, I returned to complete my last nine months of studies. I had one week at home after an absence of two years to spend with my family before I went back to college. I’d put my car in for a service and was frustrated that I couldn’t do the last bits of running around before I was due to leave. I would’ve normally borrowed my brother’s car, while he was sleeping off the previous evening’s antics, but he’d let his friend Marios drive it as he was over the limit. I was stranded at home until lunchtime when there was a hard knock at the door. I opened it to find a tall, dark, brooding man holding my brother’s car keys. His handsome face broke into a big smile and said. Nine months later we were married. Marios had never wanted to study, let alone come to the UK. Out of all the Greek Cypriot men in the large community, the consulate contacted my cousin and brother to befriend him. Over the two years I’d been studying I’d had the odd visit back home but Marios had always either been away or studying for exams, so our paths had never crossed until that moment. I wasn’t supposed to be at home that morning and in fact it was unusual for Marios to be up that early, but his girlfriend was leaving that day! Oh yes I forgot to mention that. Needless to say they didn’t last. We’ve been together 30 years last October. I guess my Grandmother knew a thing or two about my fate! Anna-Maria Athanasiou wrote her first books, The Waiting for Summer novels in secret, firstly because she never thought she’d finish them and secondly, it was a completely new territory for her. Throughout her life Anna-Maria had regularly created scenarios and stories in her head, thinking that one day she would finally put them down on paper. Eventually, in the September of 2011 she took the plunge and started to write down an idea that she’d been creating for almost ten years. Waiting for Summer books one and two are the result of her small idea, and she finally had them published in September 2013 and June 2014. She lives in Cyprus with her family and has penchant for cake, tea, whisky, wine and a healthy obsession with shoes. Anna-Maria loves the fantasy land of romantic fiction, and is passionate about bringing her stories and characters to life. You can find Anna-Maria on Facebook and can follow her on Twitter @AMAthanasiou. I absolutely adore Shelley Wilson, author of Oath Breaker, and she has become a genuine friend since I began blogging so I’m delighted to welcome her back Linda’s Book Bag today to stay in with me and tell me more about one of her novels. I’ve previously interviewed Shelley here on the blog and she has explained here why she also writes for the self-help market. Speaking of which, I have reviewed one of Shelley’s self-help books, Motivate Me: Weekly Guidance for Happiness and Wellbeing here too. Welcome back to Linda’s Book Bag, Shelley. Thank you for agreeing to stay in with me. Hi Linda, thanks for inviting me along for a lovely night in. I hope you don’t mind, but I’ve brought my slippers and a bag of popcorn! As you know, I’m a huge fan of paranormal, mythology, and fantasy stories. My reading pile resembles the library at Hogwarts! As an avid fantasy reader, it was inevitable that I’d write for the same genre, so I’ve decided to share my latest young adult book with you. Oath Breaker is about werewolves and hunters so you might want to grab that cushion, Linda! The reason I decided to bring Oath Breaker with me is to try and tempt you over to the dark side, oops, I mean paranormal side. People often shy away from this genre because they don’t understand it, but at the heart of any story are the characters and their goal. It’s the mc and their band of merry men that entice the reader to turn the page. One of the best reviews I received for Oath Breaker was from a reviewer who doesn’t like fantasy or young adult novels but saw the positive feedback I received and was tempted to give it a go. She messaged to tell me she was reading it and would be honest with me. As I know YA isn’t her thing I had no expectations. When I received a glowing four-star review, I was blown away. She had connected with the characters, could feel their pain, joy, and passion, she wanted the heroine to succeed and was happy when the bad guys got what they deserved. Yes, there are werewolves in it, but at the heart of the story is a sixteen-year-old girl with a strong heart. Never be afraid to read an alternative genre to your usual choice, you might be surprised. What can we expect from an evening in with Oath Breaker? Okay, I’ll admit it. There might be a little bit of blood and gore, but no more than you’d find in a crime novel, or a horror book. Oath Breaker starts when a giant wolf jumps through the window and rips out the throat of our heroine’s dad. Don’t worry; she’s fine – a bit shook up, understandably, but she’s okay. Not sure what’s going to happen to her now, Mia wishes she could find her brother who walked out ten years earlier after their mother died. Instead, a mysterious uncle arrives and takes her to a boarding school deep in the woods. However, Hood Academy isn’t a normal school, it’s a training academy for werewolf hunters. Mia trains as a hunter, but she doesn’t feel right about it. Thanks to the school bully, Felicity, our heroine spends a fair bit of time running away. She meets a handsome young man in the woods who tells her about the wolves and his fears that the academy is evil. Mia discovers a dark secret beneath the school and learns a tough truth about her family and the wolves. Will she destroy the pack, or will she follow them? As you know, I’m a sucker for a vampire story (no pun intended! ), but I’ve never felt the pull to write my own vampire novel. Werewolves on the other hand just sprang to mind when I was helping my daughter with her creative writing homework. She had to think about re-writing a fairy tale. I offered up an idea of turning Little Red Riding Hood into a werewolf assassin. My daughter (chick flick lover) was not impressed (I’m sure you can picture the eye roll), but I couldn’t get the story out of my mind, so I developed it into Oath Breaker. I hope I’ve managed to convince you to give Oath Breaker, and the young adult paranormal genre a go, but if not I’ve brought along my character scrapbook, hopefully, this will calm your nerves after all the claws and teeth action. I’m a visual learner, and this seems to have transferred over to my writing. Before I start a new book, I’ll create a Pinterest board and add images and ideas for the novel. I also choose celebrities to ‘star’ in my book. When I’m writing, I see the story playing out in my head like a movie so picturing a specific character as an actor/actress brings the role to life for me. It’s also a great excuse for spending an hour drooling over handsome chaps! My scrapbook is full of character inspiration for Oath Breaker. Adelaide Kane (Reign) is my inspiration for Mia with a younger version of Alex Pettyfer (The Last Witness) as Cody. Elizabeth would be played by Nicola Peltz (Bates Motel), and Lucien Laviscount (Waterloo Road) is Adam. Sebastian and Miss Ross were inspired by Dylan McDermott (The Practice) and Halle Berry (X-Men). It’s huge fun to cast famous celebs in your work in progress. You can check out Oath Breaker’s Pinterest board here. Thanks so much for staying in with me to talk about Oath Breaker Shelley – you never know, it might reach the top of my TBR sooner than you think. Thank you for inviting me over, Linda, I had so much fun. Now, pass the popcorn! Or will she destroy them? When Mia’s father is murdered, it’s her estranged uncle that comes to the rescue, but what he offers her in return for his help could be worse than the life she is leaving behind. Taken to Hood Academy, a unique school deep in the forest, she discovers friendships, love, and the courage to stand on her own. As she trains hard, Mia takes the oath that seals her future as a werewolf hunter, but not everyone wants Mia to succeed. Screams in the night. Secret rooms. Hidden letters. Mia becomes an important piece in a game she doesn’t want to play. Will the truth set her free, or will it destroy her? Published by BHC Press you can purchase Oath Breaker through the links here. Shelley is a multi-genre author of non-fiction self-help and young adult fantasy fiction. Her How I Motivated Myself to Succeed is being dubbed as the sequel-that’s-not-a-sequel to her bestselling book, How I Changed My Life in a Year. She writes a personal development blog (www.motivatemenow.co.uk) as well as an author blog (www.shelleywilsonauthor.com) where she shares book reviews, author interviews, and random musings about writing. 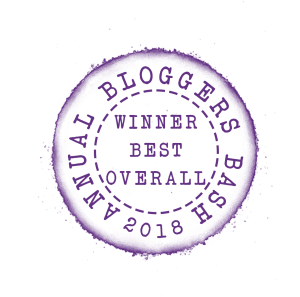 Shelley was thrilled to win the Most Inspirational Blogger Award at the Bloggers Bash in 2016, and to scoop second place in the same category in 2017. She is a single mum to three teenagers and a black cat, loves pizza, vampires, and The Walking Dead, and has a slight obsession with list writing. 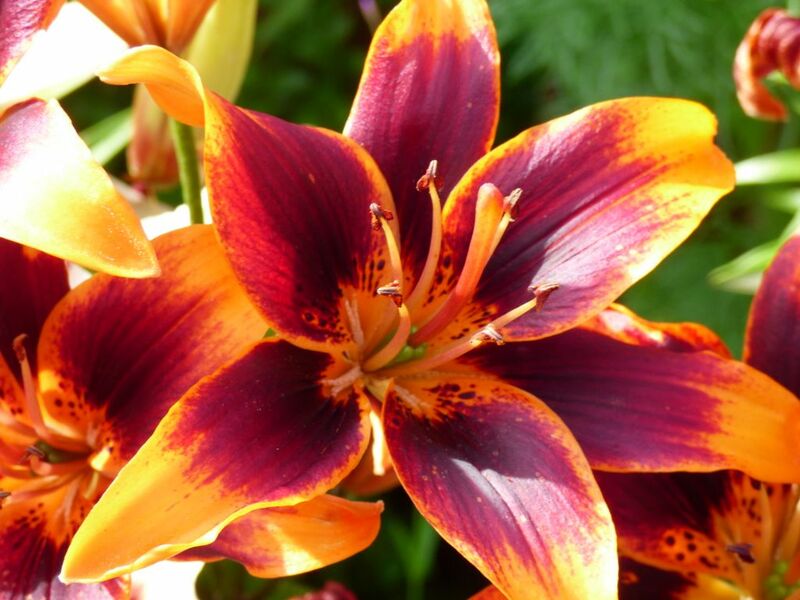 You can find out more about Shelley on her author blog or via her personal development blog. You can also follow Shelley on Twitter @ShelleyWilson72 and find her on Facebook (or here on Facebook for YA writing) and Instagram. You’ll find all Shelley’s books here. I think I’m regressing to my past the nearer I get to 60 as I am finding I love reading children’s fiction more and more. Consequently I’m delighted to be part of this celebration of two books by Ron Butlin, illustrated by James Hutchinson; Here Come the Trolls and Day of the Trolls and I would like to thank fellow blogger Kelly at Lovebooks for inviting me to participate. Here Come the Trolls is available for purchase here and Day of the Trolls here. It’s the Day of the Trolls: Fart-Fart and all the trolls are back! There’s a free audio book version of each of these books available and all you need to do is email BCBBooks@Birlinn.co.uk and say ‘Hello! Please send me my free audio copy of Here Come the Trolls/Day of the Trolls’ and you’ll receive an exclusive download code and link. Trolls are rude, ill-mannered and thoroughly revolting as they creep through holes in houses or cause havoc in shopping centres. These two books are brilliant. Children of all ages will love the irreverent behaviour of the kind we’ve all wanted to carry out at times like poking our tongues out at others and mis-behaving in public. I always revert to being a literacy consultant when faced with children’s fiction and look for the opportunities to promote reading, speaking and literacy in children’s fiction. Ron Butlin’s books do that in spades. The rhyme schemes are great, allowing children the opportunity to explore and have fun with language. I especially liked the invented compound adjectives like ‘fart-ripping’ that will appeal to even the most reluctant of readers. The rhythms of the language are vibrant and engaging and there’s a good use of an almost musical refrain too in Here Come the Trolls so that I think the books lend themselves brilliantly to reading aloud with children. The onomatopoeic words add to this effect with lovely examples like ‘slurp’ and children can enhance their vocabulary with new words like ‘luminous’. Aside from the language development aspects, both The Day of the Trolls and Here Come the Trolls have really good narratives too with all kinds of adventures as the trolls create havoc so that not only are both books educational, they are fun too. However, I actually felt sorry for the trolls as they are vilified in a window display or kicked out of the house and I think there are so many possibilities for discussion with children about how the trolls behave and are treated. It’s impossible to review these two books without actually paying tribute to the phenomenal illustrations too. James Hutcheson enhances Ron Butlin’s words brilliantly so that each page is a real work of art. I loved both Here Come the Trolls and Day of the Trolls and think children aged 3 – 93 will love them too. Ron Butlin is a poet, playwright, novelist, short story writer and opera librettist whose works have been broadcast in the UK and abroad and have been translated into many languages. His volumes of poetry include the award-winning Ragtime in Unfamiliar Bars (Secker & Warburg, 1985) and Histories of Desire (Bloodaxe, 1995). His New and Selected Poems was published by Barzan in 2005. His novels include the novels The Sound of My Voice (winner of the Prix Mille Pages 2004 and Prix Lucioles 2005, both for Best Foreign Novel), Night Visits and most recently Belonging. He was appointed Edinburgh Makar in May 2008. You can follow Ron on Twitter @RonButlinMakar. You can also visit Ron’s website. James Hutcheson is Creative Director at Birlinn. He has been designing books, book jackets and album covers for many years. Based in Edinburgh UK, working as an illustrator, typographer, cartoonist and graphic designer James’ portfolio includes album covers for artists as diverse as Steve Winwood, The Incredible String Band and the mighty Phil Cunningham. You can follow James on Twitter @SKARPHEDON. My enormous thanks to Matt Hutchinson at Penguin Random House for sending me copy of The Ice Palace by Tarjei Vesaas, translated by Elizabeth Rokkan, in return for an honest review. The Ice Palace will be released as a Penguin Modern Classic in e-book and paperback on 25th January 2018 and is available for pre-order here. The beautiful cover of The Ice Palace was designed by Hsiao-Ron Cheng. The schoolchildren call it the Ice Palace: a frozen waterfall in the Norwegian fjords transformed into a fantastic structure of translucent walls, sparkling towers and secret chambers. It fascinates two young girls, lonely Unn and lively Siss, who strike up an intense friendship. When Unn decides to explore the Ice Palace alone and doesn’t return, Siss must try to cope with the loss of her friend without succumbing to a frozen world of her own making. When newcomer Unn strikes up a sudden and intense friendship with Siss, there will be terrible consequences. I haven’t a clue how I’m going to review The Ice Palace because I’m not sure I fully understood it. I couldn’t decide if it was a straightforward narrative, an allegory of life and death, or innocence and evil, the spiritual and the corporeal, or a combination of those elements and much more besides. I found it totally enigmatic. Whatever the intention of the writer, Tarjei Vesaas, and despite my perplexed bewilderment what I do know is that reading The Ice Palace is moving, intense and completely spellbinding. My inability to comprehend it all seemed to mirror Siss’s problems of understanding so that I almost felt myself becoming her as I read. The construction of this novella is so clever. Firstly, other than titles like Mother, Father and Aunite, only Unn and Siss are actually named, giving them supreme importance. I have no idea if the snakelike hissing sibilance of Siss’s name was deliberate to instill an undercurrent of evil to the narrative, but her emotional and physical isolation seemed to me to fit her name and to represent the loss of innocence found between these pages as she, Unn and the boy with the boot explore their symbolic burgeoning sexuality too. The book is divided into three sections, making me think of the holy trinity and lending the experience of reading The Ice Palace a spiritual and almost religious experience – and I am the least religious person I know! I could feel the link between the real ice that captures Unn and the emotional ice in Siss’s heart almost physically. The language is beautiful and poetic. I found myself reading slowly to savour every word and I thought The Ice Palace was intense, captivating and magical. I loved the terrifying power of nature presented through fabulous use of the senses as we hear the cracking ice, feel its threatening cold and see its myriad colours, so that reading The Ice Palace is a completely immersive experience. I feel awful that I cannot convey adequately what sort of book The Ice Palace is, but I can say this: I feel moved and changed by it. Read it. Tarjei Vesaas died at the age of 72 in the same small village where he was born: Vinje in Telemark, an isolated mountainous district of southern Norway. He wrote more than twenty-five novels and was nominated thirty times for the Nobel Prize. Having previously been privileged to interview Magdalena McGuire about Home is Nearby (here), I’m thrilled to welcome her back to Linda’s Book Bag to stay in with me and tell me a little more about the book. I also reviewed Home is Nearby here so you might like to check out that post too. Welcome back to Linda’s Book Bag Magdalena. Thank you for agreeing to stay in with me. Thanks so much for the invitation, Linda! I’m a huge fan of your blog so it’s lovely to be featured here. What can we expect from an evening in with Home Is Nearby? Readers have said that they ‘lost themselves’ in the world of the narrator, Ania, that they were immersed in a world of beauty amidst loss. That’s exactly what I want readers to do – to lose themselves in the book, to feel that, in this moment, Ania’s world is their own. I loved the way that you put it in your review, Linda, when you said, “The emotion I felt at the end of the book was physical so that the experience of reading Home is Nearby will stay with me for a considerable time.” That’s a huge compliment for a writer! I also hope that the book will inspire readers to think about the value of art in politically challenging times. This theme is, of course, relevant not only to Ania’s time but to our own. I’ve brought along a photo of myself taken in Poland in the 1980s. We moved to Australia shortly after this photo was taken. Whenever I look at it, I can’t help but wonder what life would’ve been like if we’d stayed in Poland. In fact, that’s part of the reason why I wrote Home Is Nearby – to explore this notion of an alternative life, a life that could have belonged to me, but didn’t. Thanks so much for staying in with me to talk about Home Is Nearby, Magdalena. I’ve really enjoyed it. 1980: the beginning of the Polish Crisis. Brought up in a small village, country-girl Ania arrives in the university city of Wroclaw to pursue her career as a sculptor. Here she falls in love with Dominik, an enigmatic writer at the centre of a group of bohemians and avant-garde artists who throw wild parties. When martial law is declared, their lives change overnight: military tanks appear on the street, curfews are introduced and the artists are driven underground. Together, Ania and Dominik fight back, pushing against the boundaries imposed by the authoritarian communist government. But at what cost? ‘Home Is Nearby’ is a vivid and intimate exploration of the struggle to find your place in the world no matter where you are. Published by Impress Books on 1st November 2017, Home is Nearby is available in e-book and paperback through the publisher links here. Magdalena McGuire was born in Poland, grew up in Darwin, and now lives in Melbourne. Her short stories have been published in the UK and Australia by The Big Issue and The Bristol Prize, and by Margaret River Press respectively. She has published widely on human rights topics, including women’s rights and the rights of people with disabilities. She is an avid reader and particularly enjoys reading books about girls who like reading books. Her first novel, Home Is Nearby, is set in Poland, Australia and the United Kingdom, in the eventful period of the 1980s. She is also working on a collection of short stories that focus on questions of place, identity and unbelonging, particularly in cross-cultural contexts, as well as another historical fiction novel. You can follow Magdalena on Twitter @Magdalena_McG and visit her website.